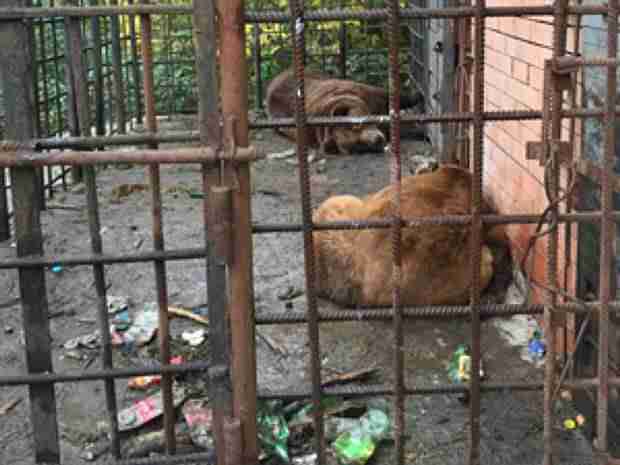 Two bears who spent the last 20 years being fed alcohol and subjected to other abuses locked in a cage behind a restaurant in Russia are finally getting the help they need. 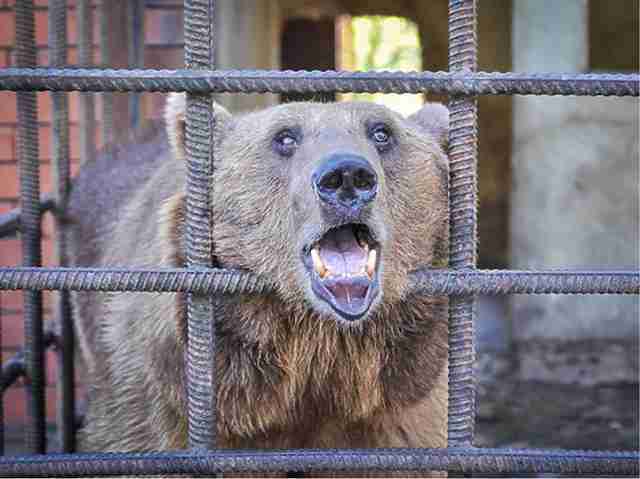 The animals had been used as living attractions at a dining establishment in Sochi, the host city of the 2014 Winter Olympics. 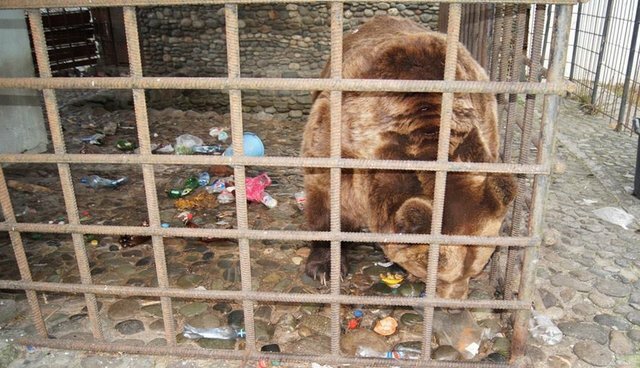 Starving in their stark, trash-strewn enclosures, they were routinely made to drink alcohol, which their owner claimed was "good for the bears because of the Sochi climate." Rescuers from Big Hearts Foundation say that, in addition to being "drowned in beer," the bears were frequently exposed to bright car headlights pointed at their cage to tease them, causing one of them to go blind. 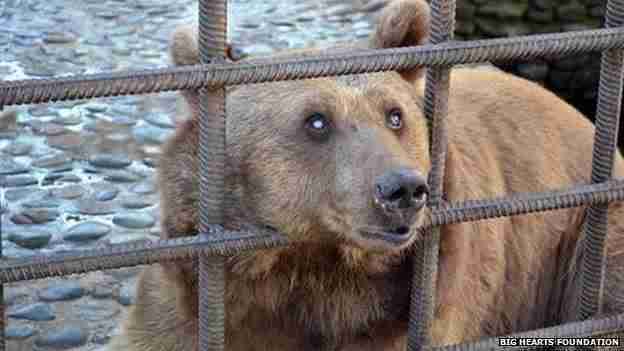 In February, after years of campaigning by animal welfare supporters, a Sochi court finally ordered the removal of the bears. Their fate, however, remained uncertain as no other facility in Russia was equipped to rehome them - but hope eventually emerged from abroad. 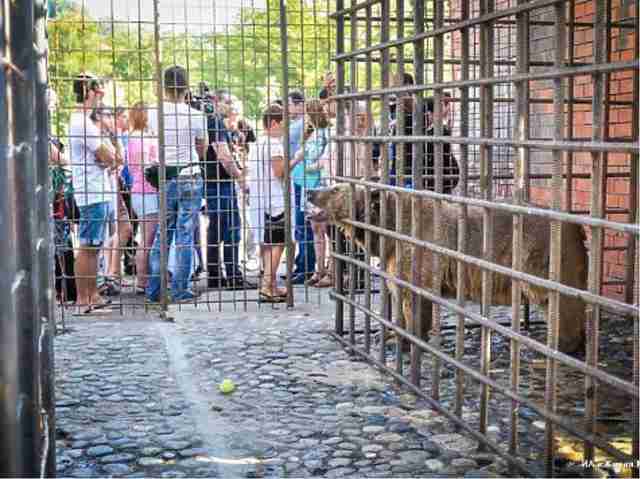 On Tuesday, Russian news agency TASS reported that a bear sanctuary in Romania had offered to provide a safe home for the animals. The staff there specialize in caring for bears harmed by exposure to humans. "The people there have worked with dancing bears who had similar problems... it can be done," she said.